Essential oils during pregnancy: Which ones are helpful and safe? Essential oils are liquid concentrates of aroma compounds extracted from plants. They derive from different parts of the plant, like the bark, berries, flowers, leaves, peel, resin or seeds. There are records of the therapeutic use of essential oils dating back to the early 10th century, and we have continued to use them throughout history in various forms and with a vast array of applications, from treating sore muscles and sprains, to treating small skin lesions or insect bites. Chances are you’ve heard of the uses of the most common essential oils, like peppermint, tea tree, lavender, eucalyptus, or lemon balm. There are many different oils, each one with its specific properties and specific indications for use. Although most of them are regarded as safe when properly used, during pregnancy you must choose an oil that’s been approved for pregnant women. 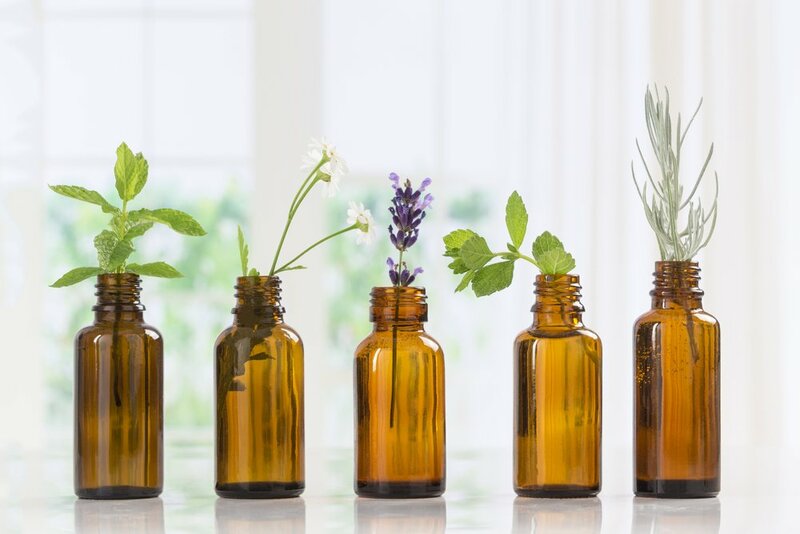 The National Association for Holistic Aromatherapy and the International Federation of Professional Aromatherapists agree that the following essential oils are safe for use during pregnancy: bergamot, black pepper, chamomile, clary sage, cypress, eucalyptus, frankincense, geranium, ginger, grapefruit, juniper, lavender, lemon, neroli, sweet orange, rose, sandalwood, tea tree, and ylang ylang. Note that all essential oils must be properly diluted before applying them to the skin. The recommended ratio is 1%, which means using 1 drop of oil per teaspoon of carrier oil (like cocoa butter, shea butter, olive oil, or coconut oil), or up to 4 drops in a diffuser or in bathwater -a little goes a long way! If you have been feeling a bit over-stressed, are experiencing tension headaches, or find yourself somewhat too anxious to get your full-night’s sleep, you could complement your relaxation exercises with either lavender, chamomile, or geranium essential oils. According to papers published in the International Journal of Neuroscience and in the scientific journal Phytomedicine these oils have proven to be as effective as medication. Try giving yourself a temple massage, or diffusing these around your room 30-min before you go to bed. Pregnancy is accompanied by a bunch of changes in lifestyle, routines, habits, relationships and, last but not least, your home. Why not take advantage of the change and spruce up your room and home while you’re at it? There are theories that say that the elemnts of a room has the ability to either help you relax or not. 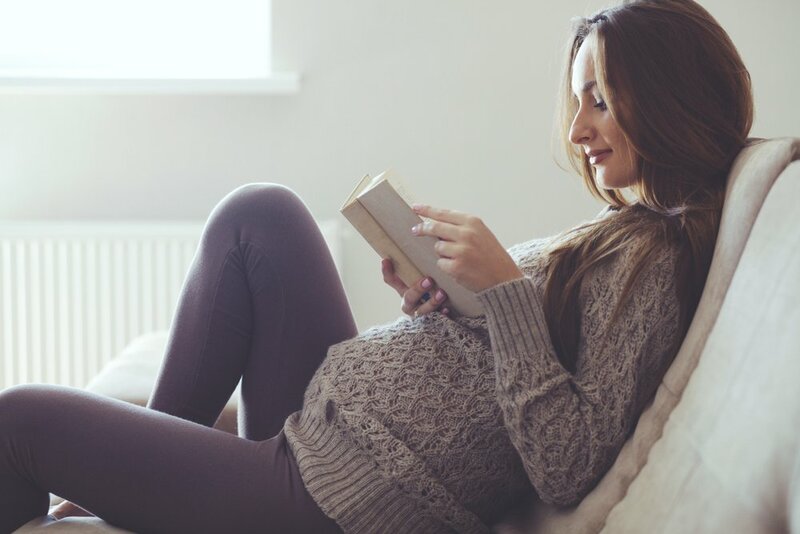 With all the stress that may build up during your pregnancy, you can take a few measures to make sure your home is not a precursor for stress, but a place to unwind and relax after a long day. • Color. You’d be amazed of the psychological effects colors have on us. Blue, green, lilac and cool shades of gray help you rest and have a calming effect, while tones such as bright yellow or red do just the opposite. • Pattern: Harsh geometrical patterns can be tiring to the eyes. Opt for larger, soft patterns, with curves if possible. • Fabric: If you want to add a tad of texture to your room, make sure it’s soft to the touch and easy to clean (remember you do have a little one on the way). • Furniture: Comfort is your best ally. 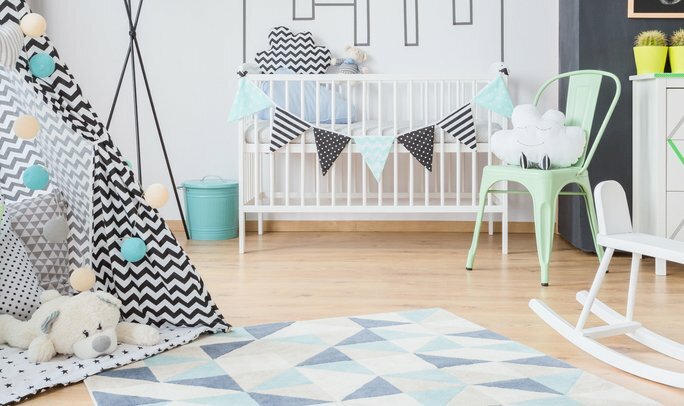 Choose something without many harsh edges (meaning, baby-proof) along with a simple and clean design. • Pillows and throws: Same rule as the furniture, choose something that will add comfort and design to your room. Make sure it’s snuggle-worthy. • Lighting: Light helps promote harmony and balance in your room. If you’re limited on windows, warm table lamps with a clean design will help you brighten up any room! • Accessories: Even though we’re opting for a minimalistic design with the fewest distractions, there are a few add-ons you can include to ensure you get a mood-boost every day. • Plants: No decoration will ever beat mother nature. Bring oxygen into your home and include some flowers like jasmine, violets, and gardenias. Nothing like a breath of fresh air to bring your day around! • Scents: They have a powerful impact on your mood and your home’s atmosphere. Try with lighting some incense or scented candles. Even an aroma diffuser can do the trick! (Try playing around with these relaxing oils: lavender, chamomile, orange, cedar wood, peppermint). There are tons of things you can do to prepare your home and make it a stress-free zone on a budget. Find what works best for you and your family and enjoy getting ready for your little one’s arrival. Everyone is afraid of the unknown. Some of us feel more fear than others, and pregnant women (especially first-time moms) are no exception. Breathing techniques and mindfulness skills can help moms to cope with all the fears they might have and even decrease symptoms of prenatal or postpartum depression. With birth just around the corner, there is no better time to prepare the body and mind. Anxiety and fear are natural reactions to this new situation and the great responsibility that comes with it. But it’s also important to know that these feelings are the worst enemies of labor. They can increase resistance and therefore the pain and length of labor. Now, we don’t want to scare you, on the contrary, we want to share some helpful tips that will help you embark on this new journey by being fully present and feeling full of confidence. Remember that contractions come and go. In between each one there is a moment of calm. Try to stay present and breathe deeply through each one without thinking about the past or worrying about what is to come. This is easier said than done, but breathing in through your nose and out through your mouth very slowly can help you stay calm during unpleasant situations. Plus, you’ll discover all your inner strength and resilience. Childbirth can be hard, but you can get through it with the help of breathing exercises. Another important aspect to consider is that you don’t have to control and manage every aspect of childbirth. If for some reason things don’t go as planned and your natural birth must be a C-section, it’s okay! Remember that your health and safety and your baby’s comes first. It’s also important not to forget that it is totally natural to feel sad and disappointed. Don’t try to conceal your emotions, experience these feelings for a moment, but then try to breathe, let them go and stay present. Your baby is about to be born, you don’t want to miss it! Becoming aware of your resistance and need to control will help you let go and accept life’s alternate plan. Finally, remember that mindfulness is like surfing. If you decide to ride the wave –of experience– instead of fighting it, you will not get as battered. 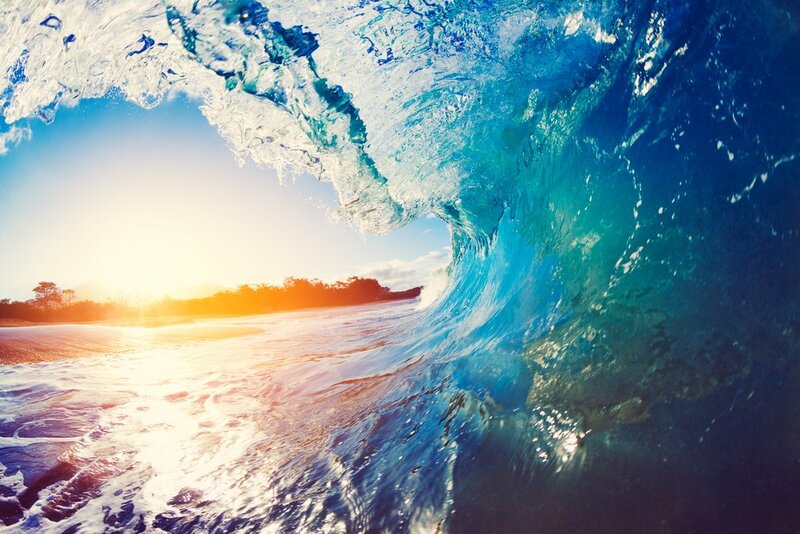 Each wave will be a different, but learning to catch them and let go will help you stop yourself from worrying or feeling anger, anxiety and depression from trying to fight the ocean. You might fall from time to time, but if you remember that each wave –just like most experiences– is temporary, you’ll be able to go with the flow and stop trying to control everything. Knowing that life is always shifting and changing will not only help childbirth be more pleasant, but you’ll be ready for the rollercoaster of parenting. The last stretch of pregnancy is here. Just a few weeks remain and soon you’ll be able to meet your little bundle of joy. This can be a very exciting time, but it can also cause lots of anxiety, especially if this is your first child. To manage these last-minute jitters, it’s important to review your pregnancy “to-do list” and the decisions that need to be made before the arrival of your baby. Jotting down the things that need completing and then getting things done with the help of your partner and family members can help you feel calm. Here are some common issues that arise once your baby is born. Take some time to review your thoughts on each and you’ll feel more in control of the uncertainty of what is to come. • Am I going to breastfeed or bottle-feed? • Have I talked to my partner about co-parenting our baby? • Have I talked with my baby’s pediatrician about safety precautions? • Will we circumcise my baby (if he is a boy)? • Will we have guests come visit us in the hospital/birthing center or at home? • Is the nursery ready? • Is my hospital bag packed? • Have I discussed my birth plan with my doctor? Feel free to include or eliminate any specific issues of this list and talk about them with your partner, family members or doctor. Sharing your concerns makes them less daunting. Plus, it gives you the opportunity to clear your mind and feel prepared. Take some time to practice the relaxation techniques you have learned with our prenatal program and childbirth classes. If you are feeling very anxious and can’t sleep, visit our activity catalog and practice 5-10 minutes of relaxation. They may help clear your mind and, as an added benefit, help you prepare for the big moment. Remember, there are some things you can control, like completing the list above, but with childbirth and life in general some things are out of our control. Try to separate what you can do and what you must accept as it is. Learning to decipher the controllable and uncontrollable situations will allow you to participate in all the wonderful scheme of colors that life has to offer. 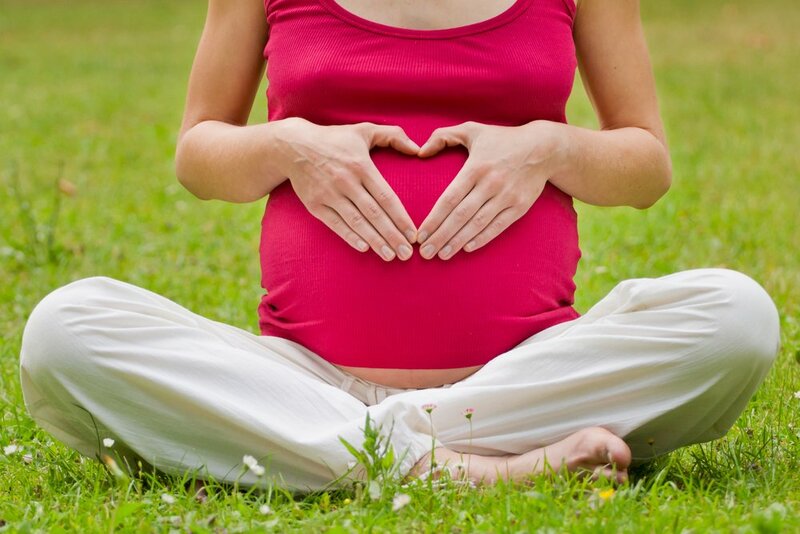 Being pregnant involves a great deal of physical, hormonal and emotional changes. It might even be one of the most magical, confusing, scary, exciting, stressful and life-changing events in your life. Over the course of the next 40 weeks your baby will grow from a single cell to a tiny and beautiful human being. Not only will your body adapt to help your baby thrive, the changes you make during pregnancy to become a healthier, happier and more self-aware person will not only improve your emotional and physical state of being, but will also benefit your baby in the womb and after birth. Destressing or stress management during pregnancy is just as important as eating healthy foods and exercising moderately. You’ll not only feel better physically and emotionally, but you’ll be creating a safe and nurturing environment for your baby. Take note on your present diet, physical activity and stress levels and evaluate if you need to make a change. It’s never too late to start! Parenting begins when you find out you are pregnant. By taking care of yourself you are taking care of your child and giving her a healthy start in life. If you try all tips above and still feel overwhelmed, don’t hesitate getting help. Talk with your doctor about seeing a psychologist, some sessions of therapy can do wonders. 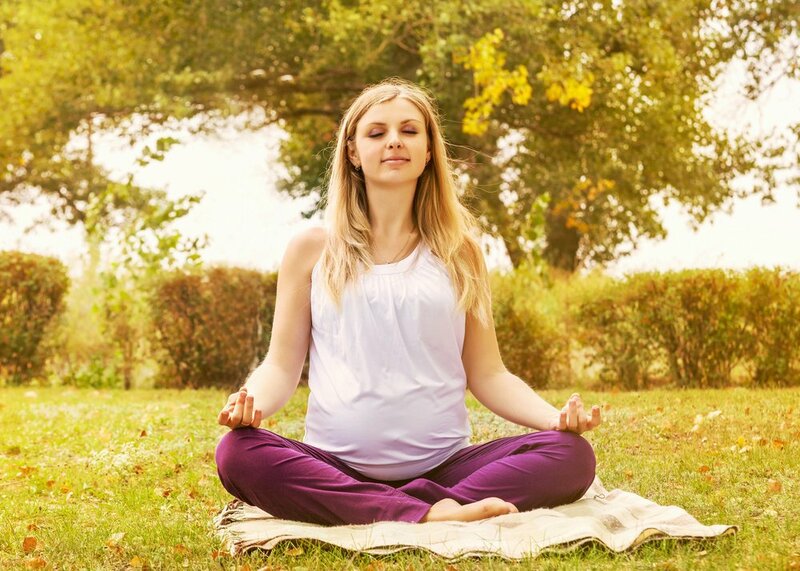 Mindfulness meditation during pregnancy is a great tool to prepare the body and mind for childbirth and beyond. Mindfulness is the awareness that comes from paying attention to the present moment without judgement. It is a skill that allows you to be aware of your surroundings, thoughts, feelings and body sensations in the exact moment that they are occurring. Learning to be present is a skill that takes practice, but if you take it day by day, you’ll learn to accept the here and now just as it is. You’ll learn to enjoy the moment-to-moments of pregnancy and childbirth, and handle the challenges of being a parent with greater ease. Babies and children live in the present, so strengthening your mindfulness muscle will allow you to become better attuned. To train the mind to become mindful it is important to cultivate a steady and deep breathing technique. When we take a moment to concentrate on our breathing we are able to ground ourselves, focus and ultimately relax. By gently noticing every inhalation and exhalation we begin to feel how the air enters and leaves the body. This allows us to practice being in the present moment. Take some time to try this today. Sit in a comfortable chair and get comfy. Take as long as you wish, you might want to begin with a short 5-minute meditation and increase the time as you get more practice. Begin to breathe in and out slowly and concentrate on how fresh air enters your body and warm breath leaves your body. Try not to let your mind wander but if you catch yourself thinking don’t worry, simply become aware of the thought without judging and bring your attention back to breathing. It is very important to remember that there is no good or bad meditation. Thoughts are a natural part of ourselves and very important for us too. It is our automatic reaction to these thoughts –such as judging them as good or bad or getting caught up in a cycle– that can prevent us from living the present moment. So, be kind to yourself when you notice a thought that’s not useful and gently let it go. I know this is easier said than done, but trust us, if you practice your awareness you’ll feel a greater piece of mind.